The original PAYDAY was more or less Left 4 Dead meets bank robbing, and that's not a bad thing. 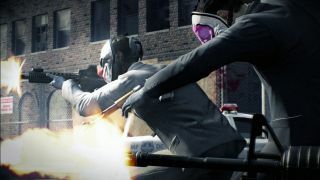 Even the game's creative director agreed they made the exact game they wanted with the original PAYDAY. They are making the exact game they want with PAYDAY 2 as well, it just so happens it's a lot deeper, richer, and more replayable than the last game. 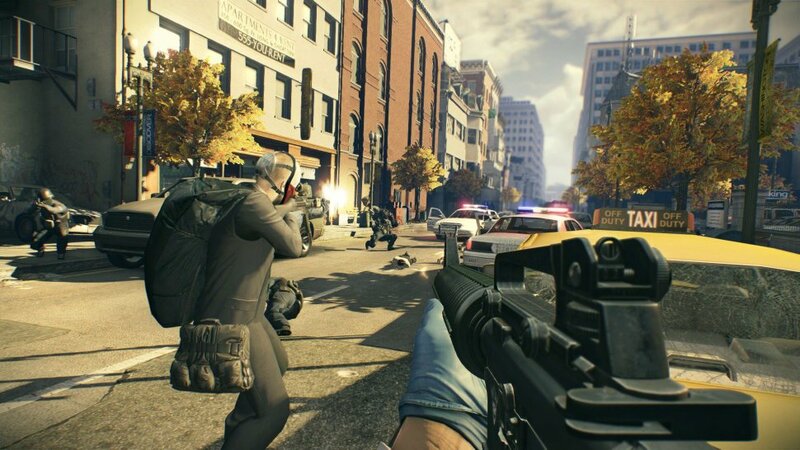 Right from the get go it's easy to see that PAYDAY 2 is a more full featured game. There's four character classes you can choose from - Master Mind, Enforcer, Technician, and Ghost. 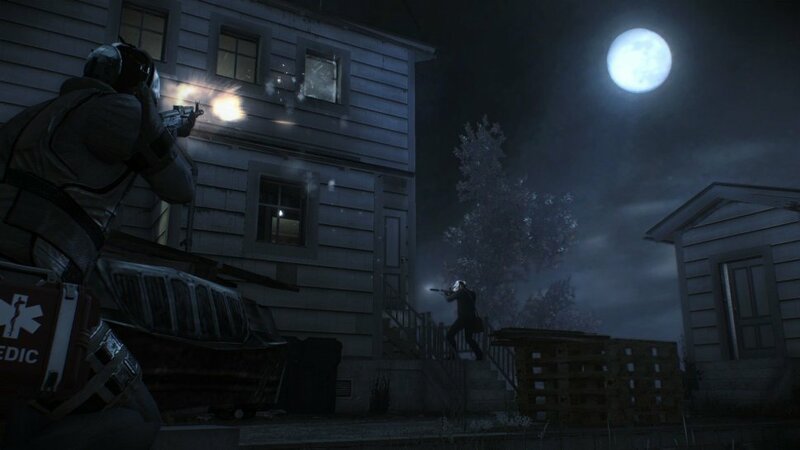 The latter may sound odd to you, especially in an action game, but there are stealth elements now to PAYDAY. Each of these classes have their own skill progression tree with unique abilities to unlock. For instance the Master Mind can unlock a skill that will resurrect a player from across the room or he can convert an enemy to fight for their team. The Technician can learn a skill that lets them take less damage while completing an action, like drilling a safe. 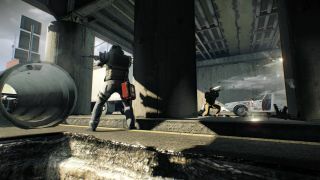 These persistent abilities are unlocked over time as you complete jobs from a dynamic mission map that details the new heists structure. Random jobs pop up with set difficulties - the harder the job - the bigger the reward. It's a simple concept but the harder jobs are actually rare and you might not see them on the map everytime you play, so there's double incentive to dive into them when they pop up. What's even more interesting regarding the jobs is now they may be multi-day. So you'll need to complete the job in stages to actually get the goods. These goods range from one time use items like colors for your masks to attachments for weapons that you can customize. Once you use an item though you'll never see it again, your decision is permanent, adding some weight to the choices you make with your stock pile of loot. David Goldfarb, the game's lead designer who also worked on Battlefield Bad Company 2 and Battlefield 3, told us there was a lot of influence from another co-op game in these decisions - Dark Souls. 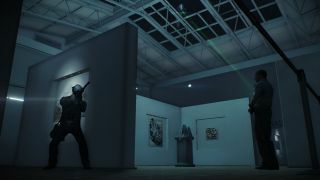 Time and time again he name dropped the game not only for it's incredible difficulty, which he said is evident in the harder heists, but for the emphasis on decisions. The map we tried started with us "casing" the building. The four of us ran around looking for cameras and other possible traps that might impede our ability to rob the bank. Once we got the drill we masked up and attempted to go in the back door. That's when I spied a camera right on our drill man. I quickly shot it thinking it would provide us some stealth, instead it alerted everyone inside to our prescence. The heist was on. Once inside we placed the drill on the vault and proceeded to defend it. Anyone who has played the previous PAYDAY game will feel right at home, the co-op aspect remains strong as the need to cover, revive, and support each other is critical to surviving. We managed to break into the vault, steal the loot and make our way across the street. I tried a few times to convert an enemy to fight by our side, but didn't have any luck. I was told that sometimes you'll want to "persuade" them by shooting them in the leg first, I'll have to remember that for next time. Once the mission was complete everyone had to choose from three random cards to see what sort of loot they would get. Loot consists of things like colors, masks, weapon attachments and more. All in all we were incredibly impressed by PAYDAY 2. It's easy to see why this game has transformed from a downloadable game into a full retail title. There's a lot of value to the content and a ton more replayability. We were told to expect hundreds of hours of playtime to see some of the rarer items. 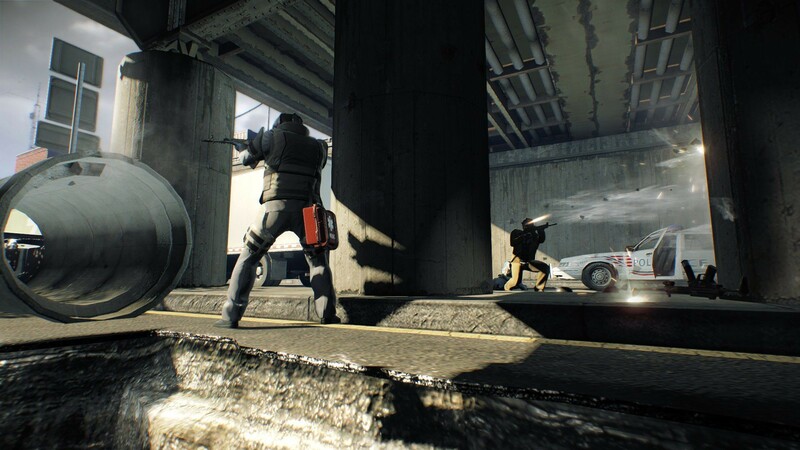 PAYDAY 2 is out on the Xbox 360, PlayStation 3 and PC later this Summer. Page created in 0.2470 seconds.